My heart aches for all those who have suffered loss especially those who have experienced the loss of a loved one in death. May God comfort those who grieve, those who are homeless, those who wrestle with damage. May God give strength them also. God the caregivers and give them what they need to minister to those in need. Would you please add Larry and Eve Haggard to your prayer list? He pastors three churches…including Louisville. 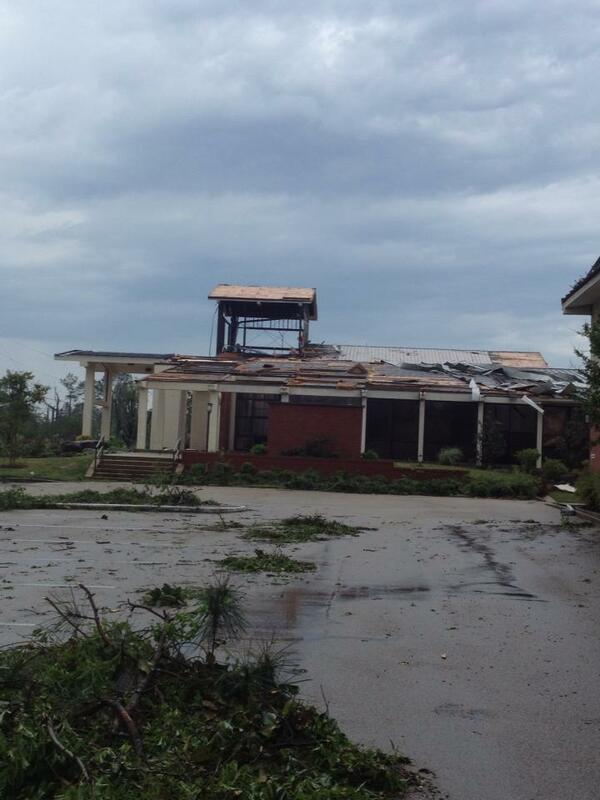 The Methodist Home was completely destroyed except for one wall. Larry nor Eve were present at the time. They had come back to Edwards to work on their retirement home. Eve’s grandmother and my grandmother were double first cousins. She has not gone up there, yet. Larry is going to see if anything at all can be salvaged. The Methodist director told them to write down everything they could remember. Larry has been pastoring three Methodist churches for years. She is at their son Chris’ house in Edwards.